Cool effort at a big-budgeted retro-adventure about a highly regarded pirate , who results to be a woman : Anne Bonnie , or Captain Providence , a notorious sea-dog lady . 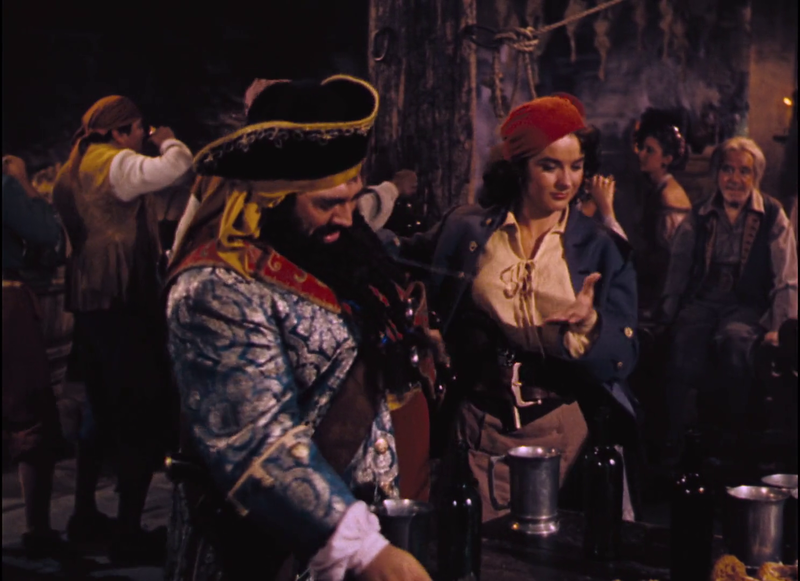 Thrilling and moving adventure about pirates of the Caribbean with Anne Bonnie (Jean Peters) , a pirate woman on the high seas who navigates along with his crew : her second-in-command (James Robertson Justice) , a drunk doctor (Herbert Marshall) and other underlings . 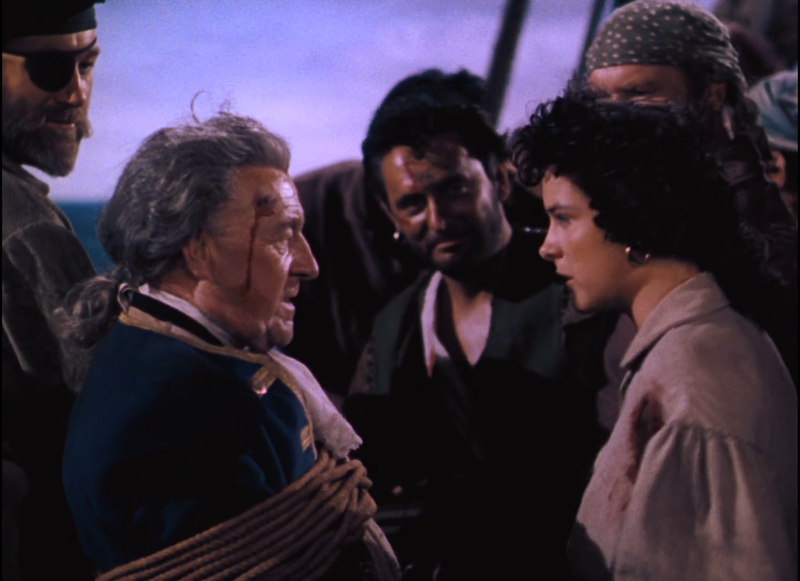 During a ship attack , Anne ¨Providence¨ meets the French Pierre LaRochelle (Louis Jourdan) , but she spares his life from walking the plank . Rochelle teams up with the group of pirates , as he signs on as a seaman and she is increasingly drawn to him , a feeling that seems to be mutual . When famous Captain Blackbeard (Thomas Gomez who has a high old time and steals the show as the fearsome buccaneer), her preceptor in the ways of pirating , sets eyes on LaRochelle he recalls him as a French navy officer and then things go awry . Shortly after , Anne is double-crossed and she , then , seeks vengeance in the Dead man&#39;s cay .<br/><br/>Storming , moving spectacular saga of history&#39;s fabulous pirate queen with lots of derring do . 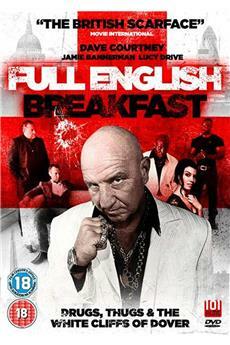 This lusty pirate drama has plenty of punch and pace , emotion , as well as amusement . The action and fencing scenes are choreographed with an unity and surge of which all the best Hollywood filmmakers would have been proud . Combination of overwhelming battle ships , sword-play and full of villainy , romance , swashbuckler and heroism . 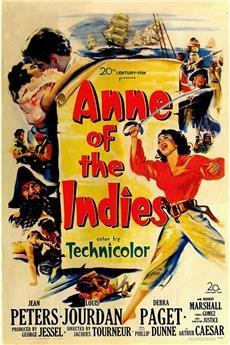 ¨Anne of the Indies¨ contains enough swashbuckling for half-a-dozen pirate films . This picture is fast-moving , exciting , stirring and thrilling right up to the almost climatic final confrontation between two fabulous ships captained by Anne and Blackbeard . Intelligently budgeted using miniature sets and ship shots from other films when possible . Enjoyable script by Philip Dunne and Arthur Caesar who give several stirring and buccaneering elements , including a love story , jealousy , treason and subsequently , revenge . Nice acting by Jean Peters as the dashing and highly regarded heroine figure , a gorgeous lady buccaneer who stands up in this rousing adventure . Jean Peters sadly lost to the big screen when she married billionaire-recluse Howard Hughes ; she starred some successful films as ¨Apache¨, ¨Broken lance¨ and ¨Niagara¨. Fine , handsome Louis Jourdan as a former captain who uses his cunning in order to recover his ship impounded by the British . Debra Paget is given the opportunity to show both spirit and a lovely wardrobe . Very good support cast in this historical/pirate/adventure tale of heroism and swordplay , standing out the followers support actors : Thomas Gomez as a really villainous buccaneer , James Robertson Justice , Sean McClory Carleton Young and special mention for Herbert Marshall as good-natured but drunken doctor . Furthermore , this bright and lively swashbuckler packs an evocative cinematography by Harry Jackson . Admirable Technicolor photography is effective particularly in the breathtaking naval battle scenes . This story of piracy in the Caribbean displays an original and impressive musical score by Franz Waxman . <br/><br/>This sparky pirate adventure was well directed by talented filmmaker Jacques Tourneur . Production Company Twentieth Century Fox Film Corporation achieved a considerable hit to match the pace and technical standard of the best Hollywood pirate movies . This film turns to be a classic pirate movie along with other vintage movies , such as : ¨Captain Blood¨ by Michael Curtiz with Error Flynn , ¨Sea Hawk¨ by Curtiz with Errol Flynn , ¨The black swan¨ by Henry King with Tyrone Power , ¨Treasure island¨ by Victor Fleming with Wallace Beery , ¨Blackbeard¨ by Raoul Walsh with Robert Newton , among others . 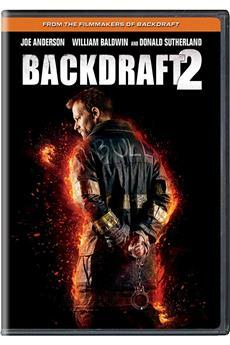 Rating : 7/10 , above average pirate movie , entertaining as well as stirring stuff that provides audience amusement . Enjoyable production packs enough thrills , breathtaking sea battles , tempestuous romance and exciting situations for a good time . 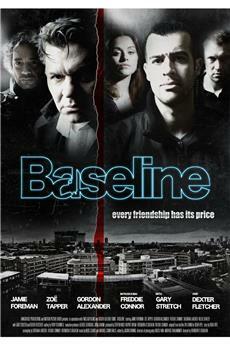 It will appeal to pirate movies aficionados . I like the film, it′s the best pirate-movie I watched hitherto (forget silly Errol-Flynn-stuff and Pirates of the Caribbean). 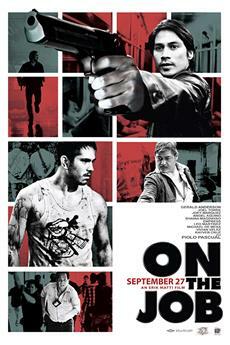 This movie is wonderful melancholic. I compare it with &quot;Johnny Guitar&quot; at the sea-side (but 3 years earlier), two women fighting for a man, where mad love might lead one.<br/><br/>The character of the female (anti-) heroine, Anne Providence, is superb, acting without compromise like a child, lost alone on her search for a own female identity in a real man′s world. She′s a quite strange movie-hero, not a funny pirate, as most of her companions in this genre, not making jokes all the time, fighting for the poor and good and only killing the stupid spanish or british soldiers or - better - sly governors, but she′s murdering all the poor prisoners of war, after she captured a ship (look careful at this at the start of the movie), she′s primitive (she can′t even read), she is desperated and she get′s an alcoholic, she looses all her friends as consequence of her obstinacy and she′s wearing rags most of the film. This film shows a pirate &quot;hero&quot; a little (!) bit as he (or in this case &quot;she&quot;, but there has been a female &quot;Anne&quot; buccaneer, Anne Boney) might have been in brutal reality.<br/><br/>The film is quite short and the story is told in a breathtaking manner. Certainly, a film from the 1950s has no exciting special effects for present time viewers (the ships swim very obvious in a bath tube), but this real drama about love (that kills), trust, betrayal, revenge, hatred and sacrifice drives one crazy. Maybe, Anne is even supposed to be Judas Iskarioth and Jesus from Nazareth in one person, being betrayed by her friend (the french LaRochelle) as Jesus; after being disappointed by the friend, delivering him to a death penalty (as Judas); than getting remorse about this (like Judas, who commits suicide according to the gospel of Matthew); and in the end sacrificing herself for the rescue of the beloved enemy (as Jesus). But, even if you are not interested in this philosophical questions of guilt and atonement, the film brings a lot of (cheap) action as sword fights and burning (plastic) ships for a very short one and a half hour.